Enjoy a traditional aesthetic in your indoor or outdoor living space with the daltile castle metals 2 in. x 12 in. 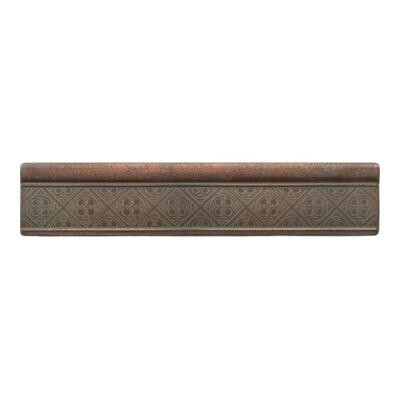 Aged copper metal clover ogee wall tile. This stylish tile features an unglazed, textured finish and a decorative motif, and it is constructed from durable, frost-resistant metal and features an impervious water absorption rating that makes it suitable for a wide variety of indoor and outdoor applications. You can buy this product in our internet market. We will be glad if you make the right choice.